Packard-Ideal Shutters are ideally suited for use with barrel lenses of every size. All Packard-Ideal Shutters are constructed to highest standards and experience accumulated from many years of service to the photo industry. Heavy brass bushings, the original and dependable black matte blades, and rugged metal construction with black matte finish all contribute to a reliable and durable product. Handcrafted in the USA of the highest quality components, Packard-Ideal Shutters are available in standard opening sizes from 1½” to 8”. Options include a variety of blade materials, horizontal or variable orientation operation, reverse operation, and sensor switches. Custom design inquiries are welcome, please feel free to contact the factory with your specific needs. The No. 5 shutter is ideal for Wet Plate and Alternative Processes that require long exposure times. It has the latest mechanism and its dimensions are square with a large center opening. It is especially adaptable for cameras with a small front board. Simply constructed with few moving parts, its action is fast, easy and smooth without excessive noise or vibration. Ruggedly constructed and finished in black with black matte opaque blades and improved heavy-duty brass bushings. Also widely used on industrial, scientific, and commercial equipment. Available in sizes from 1.5″ to 8″. The No. 6 shutter for timed or instantaneous exposures offers versatility unavailable anywhere else. 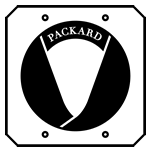 Designed with the dependable Packard-Ideal mechanics, it has a very large opening centered in a square compact case. It is especially adaptable for cameras with a small front board. Three blades of rigid black matte opaque material are light-tight at all times, its action is fast and smooth without excessive noise or vibration. The No. 6 is changed from time to instantaneous exposures by simply pushing in a small pin on the outside of the shutter to engage the built-in instantaneous mechanism. Requires no setting, works automatically resetting itself after each exposure. Available with synchro connection for use with studio lighting, strobes, and other off-camera lights. Instantaneous mode has a duration of approximately 1/25th to 1/50th of a second, depending on how aggressively the bulb is squeezed. No. 5 shutters are available with Electric operation. Solenoids of 12vdc, 24vdc, or 120 vac Continuous or Intermittent Duty are available depending on customer requirements. Most models (except the very small) may have a synchro-switch installed for triggering external lights or for feedback systems. Installation may be vertical or horizontal. Electric Shutters are widely used for copy cameras, enlargers, projectors, etc. All Packard-Ideal Electric Shutters are custom made to customer’s specifications. Electric Operation on a No. 6 Shutter may be possible, please contact the factory. Shutters are available in sizes from 1.5″ to 8″ and beyond. For shutters larger than 5″, please consult the factory for pricing and delivery. # The #6 pin is sold separate from the shutter. # Standard Lead Time is 6 weeks from receipt of payment. Expediting and Rush orders will incur additional fees. # All Custom work requires separate R&D time, Engineering Fees will apply to all mods.